Shifting the user interfaces from Java to Node.js, the company streamlined the development quite well. Before Node, Netflix had a process and work style which was cumbersome for both the company and its development team. 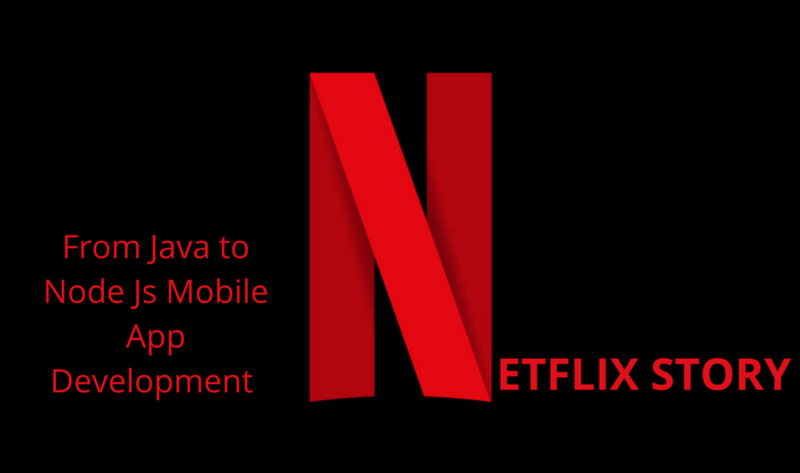 Keep reading the post to know about Netflix’s huge transition from Java to Node js mobile app development. 2.) Another reason was the kind of unbelievable performance Node.JS offered. From forty minutes + startup time, it went down to just one minute. That was not just an improvement, however an entirely different level of performance. Plus, mostly Node modules are open-source so they can be used quickly and help get better tracking. This helping hand was missing in Java. Moving to Node.JS did not come easy; the team had to change not just the language but the mental approaches they applied. They had to learn various intricacies of Node.JS and they had to be extra careful on how they write the code, server and the client side too. So, overall the team had to leverage this upside and simultaneously think hard about how the written code will be used and how will it scale. Indeed, the team of Netflix was really excited on how they successfully transitioned to Node JS mobile app development. Also, having just one language for both sides made things easier but they had to approach things differently on the server and on the client. Moving to a new architecture got them a lot of insights of Node.JS and especially it was a new technology for them so they learned a lot. As Node.JS support non-blocking and can be used for microservices such as: AWS Lambda in order to develop the server architecture. Netflix is planning to use AWS Lambda to build rule-based self-managing infrastructure and switch inefficient processes to reduce the rate of error and thus, save a precious amount of time. It won’t be wrong if we say that the future of Node.JS is bright. Therefore, each and every entrepreneur should keep an eye on this emerging trend before it gets too late. If you need help with your mobile app project, consult our experienced Node JS developers to get the high-grade Node JS development services.